Knowing that I’d get my fix of company and product news throughout the press tour, I asked Eugene to tell me his story. I was hungry to learn about his childhood, and learn of his journey from mathematician to founder and CEO of his multi-million company, Kaspersky Lab. This is the story of Eugene Kaspersky. “I was born many, many years ago in 1965”, Eugene laughs. His laugh is infectious, and it’s clear that he does not use it sparingly. Schooled in the Moscow region, Eugene’s talent for mathematics became glaringly obvious very quickly. “My mum recognised that I was interested in mathematics at a very young age, and I’d read special mathematics books and magazines”. By the age of 12, Eugene Kaspersky was studying advanced mathematics at an evening school for children. Entering what they considered ‘The Olympic Games for kids mathematics’, Eugene took home second prize in his town. Attending a mathematical boarding school in Moscow in his teens, Eugene took a particular interest in the school’s computer. “Well, I suppose it was just a digital machine”, he smiles. He spent his last two years of secondary school taking physics and mathematics courses in a specialised programme for gifted students organised by and affiliated with Moscow State University. Despite his obvious intelligence, Eugene remains modest about his potential. “I wasn’t clever enough to become a cryptologist. Cryptology is such a science that very few are able to do it successfully without losing their minds”. So, how did Eugene’s talent as a mathematician lead to him founding an incredibly successful information security company? “If you’re a mathematician you can easily be a computer engineer”, Eugene explains, “but if you’re computer engineer, you’ll never be a mathematician. I did it the right way around – it was very good training for my brain”. In 1987, Eugene graduated from the Institute of Cryptography, Telecommunications and Computer Science, where he studied mathematics, cryptography and computer technology, majoring in mathematical engineering. After graduating, Eugene worked at a multi-disciplinary research institute. It was there that Eugene first began studying computer viruses after detecting the Cascade virus on his computer in October 1989. Eugene analysed the virus and developed a disinfection utility for it – the first such utility he developed. In the early 1990s, Eugene embarked on the AVP anti-virus project. “The name of the first version of my software was called minus V, [written –V]. The reason for this? I wanted it to appear first in product lists”, laughs the Kaspersky CEO. “By 1992 I had recruited more people to help with the software development, and we had a very innovative anti-virus for that time.” Two years later, tests in Hamburg University declared Eugene Kaspersky’s AVP product ‘best in list’. The product grew through international distribution, and received much interest from German companies. “There was no money, but we were happy that our product was being promoted. At that point, we were probably a team of four or five, with no resources to control our distribution, finance or sales results”. Eugene Kaspersky learnt the hard way about the dog-eat-dog world of business. An American man registered AVP as a trademark under his own name, and started to behave as a software vendor. 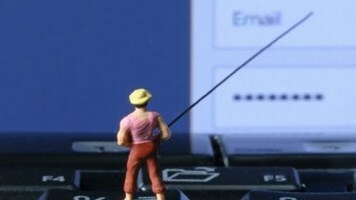 “He owned the trademark, so he owned the software”, Kaspersky says regretfully. “In 1999 we started negotiation to take back the trademark and website, but unfortunately, there were no results. So we had to change everything, and started again”. Eugene Kaspersky registered ‘Kaspersky’ as a global trademark, designed the new logo, and “the new everything. I like to say I’m working on my second million dollars, because I gave up the first one”, he laughs. 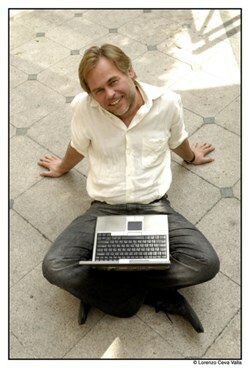 Virus research was always a passion of Eugene Kaspersky’s, who admits that “I was working not for money, but for fun”. Survival was assured by signed technology contracts. “The Russian anti-virus market was not big enough to survive, so we needed resources to promote the brand to the other markets. In the industry we were known to have one of the best engines. We had a lot of innovations and the quality of detections was respected”. The Russian financial crisis in 1998 taught Eugene to depend on different currencies. “We used the crisis to improve the company − we started to recruit more people because it was cheap. Something very similar is happening right now − it’s easier to find the right people in a recession”. 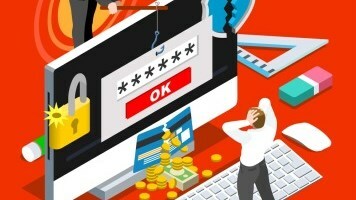 Successful Russian information security companies are few and far between. 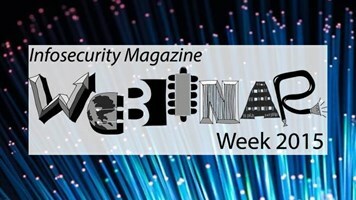 Is it therefore more of a challenge to set up an information security company in Russia? “Yes and no”, answers Eugene. “Yes because the Silicon Valley is a better environment with a lot of investors. No because there is a very good pool of talented engineers in Russia”. In fact, most of Kaspersky’s engineers are based in Russia. “When it comes to marketing and sales, however, it is harder to find the right people here in Russia, because technical education has a stronger history in Russia. In soviet times there was no marketing or business education, which is why we are the first generation. Even today, education is focussed on technology”. Unlike many entrepreneurs, Eugene confirms that he never had an exit plan. “I was interested in researching viruses and researching malicious codes. It was my hobby, and when you have a hobby, it is not up for sale”. Interestingly, Eugene was asked many times over the years to join other companies or sell his company, but now the tables have turned. “There was one company that once wanted to acquire us. Now they have asked us to acquire them”, he says with a sense of pride. Eugene however, is intent on keeping the Kaspersky corporate culture, which seems to be respected so much by his employees. “That’s why we are so conservative with acquisitions. We want to keep the special spirit of the team of the company, and acquisitions are the wrong way [to do this]”. 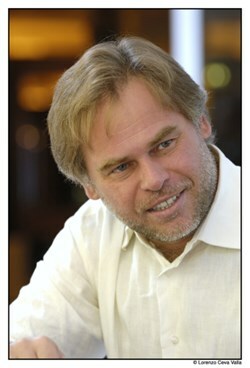 In hindsight, Eugene Kaspersky looks fondly upon his journey to where he is now. And so he should. My time with Eugene is up, but not before I get to ask him one last question. The biggest mistake of his career? “A technical mistake”, he says without hesitation. “The AV engine in 96 wasn’t able to process two files at the same time. This was the most serious, critical mistake of my career. We had to develop special envelopes for the engine to run in a multi-threat landscape. If I could live my life again, that is the one thing I would change, but not the rest.” And why should he?